Are your decking boards lifting? A common complaint we sometimes hear from clients is that their decking boards are lifting and the nails popping on their old deck. This can be a pain-in-the-neck especially if you have small children or use the deck barefoot. Several factors may be to blame. 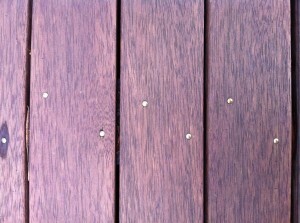 If your deck is a reasonably new one the decking may have been laid using a gun nailer. Although it’s the quickest way of securing decking boards, using a nail gun for laying decking doesn’t represent best practice; gun nails having less grip than the traditional hand-hammered twist shank nail. Treated pine decks are more prone to lifting and popping because the open grain does not hold the nail as well as dense timbers such as hardwoods. In older structures, lifting of decking boards sometimes occurs when the top 15 or 20 mm of the joist rots before other sections of the joist. 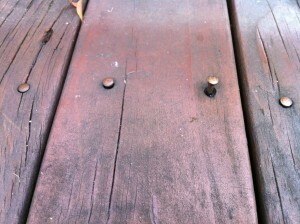 This results in the nail failing to hold the decking board down. As people walk on the deck the spring in the board gradually lifts the nail out. Remedies? First step – call Outside Concepts Sydney West. Here at Outside Concepts we build beautiful decks. Richard van den Broek, owner of the Sydney West branch is a licensed builder and has a great deal of experience in dealing with your deck problems. If your deck timbers are still solid and the nail gun is to blame, it can be sometimes fixed by dealing with each nail on an individual basis. Simply remove the nail and replace it with a screw. Usually the screw can be placed in the existing nail hole. If your joists have rotted Richard may recommend replacing them. This involves removing and replacing all decking as well as the affected support timbers. 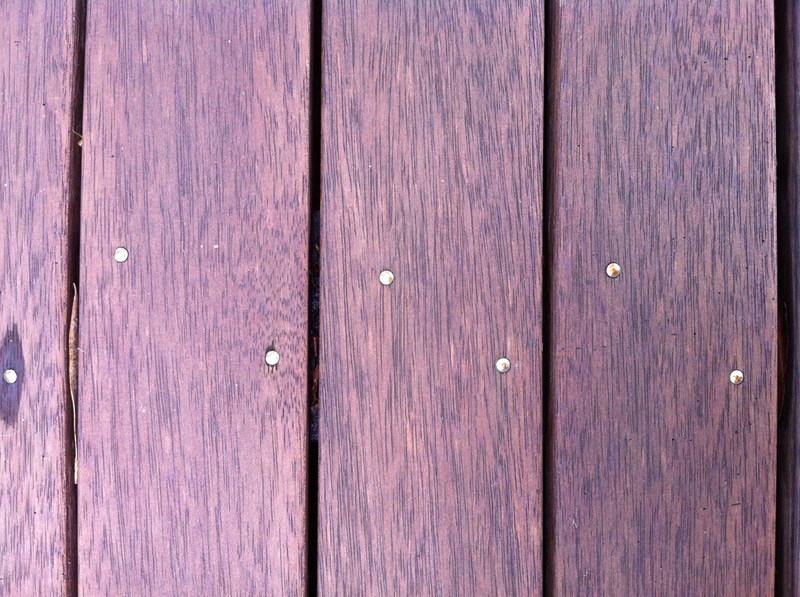 Outside Concepts Sydney West recommends replacing the decking as it splits easily on removal and presents additional problems when relaying it due to warping and non-alignment of nail holes. Sometimes if joists are still viable a batten can be fitted beside the joist and the decking boards re-nailed into that. This is a fairly temporary solution as the batten tends to encourages further water retention and continued deterioration of the joist. The most satisfactory solution tends to be deck replacement. Though a more expensive option, a new deck will provide maximum value for money. In building your new deck, Outside Concepts will ensure that correct construction techniques are used. For example, it’s important to know that the type of joist timber determines whether the decking boards must be screwed or nailed down. 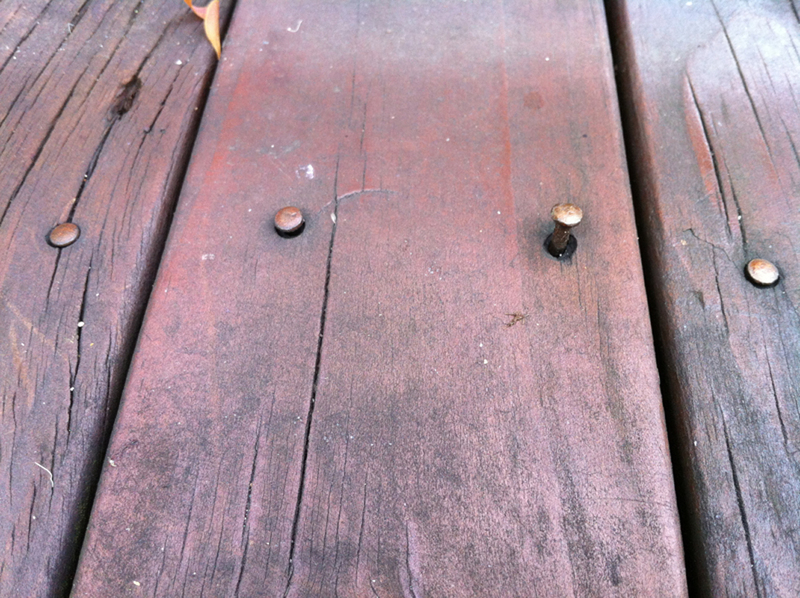 Both hardwood and treated pine decking boards should be screwed into treated pine framing. However, if your deck is framed with hardwood then the decking is generally nailed down. So if you want a beautiful deck, call Outside Concepts today!